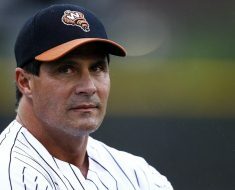 In the modern day, most sports (such as hockey, football and baseball) require their athletes to wear some form of headgear. But this hasn’t stopped athletes from growing and having some of the craziest hair you have ever seen. Whether it is a crazy color, a crazy style, or anything in between, check out these 5 athletes with some of the best hair out there. 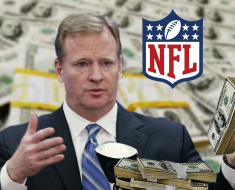 When it comes to NFL players, we may not know which guys have great hair and which guys don’t as they are almost always wearing helmets when we see them on TV. 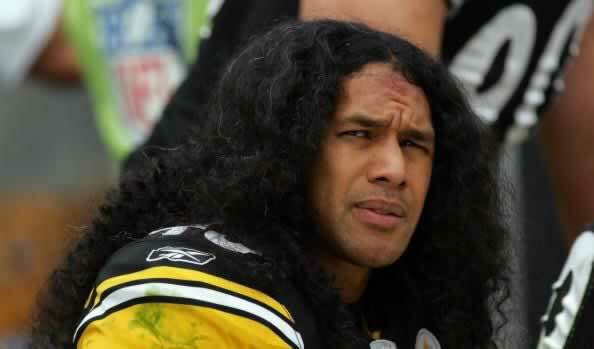 Some players have longer hair that sticks out the back, and no one did this better than Troy Polamalu. His long locks hung out the back of his helmet, which added to his look and made you be able to recognize him wherever he was on the field at any time. Hell, this guy’s hair was so good he even appeared in some Head and Shoulders shampoo commercials. 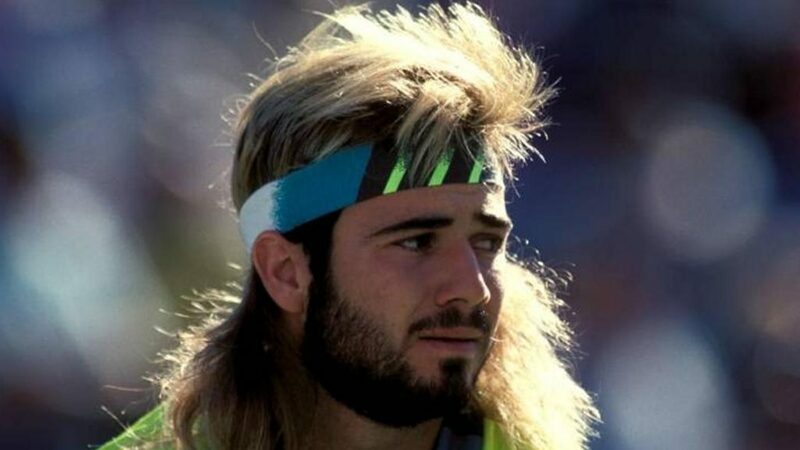 While Agassi sported a shaved head near the end of his career during his older days, during his early days, his mop was among the best on the planet. His signature look was to have his brilliantly quaffed mullet being held back by a headband. The hair obviously worked for him as he is among the most successful and famous tennis players of all time. 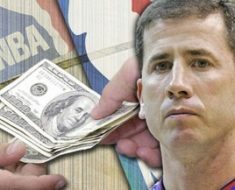 Most people who only knew him as the bald and older man would be in complete shock when you showed them pictures of his early days. 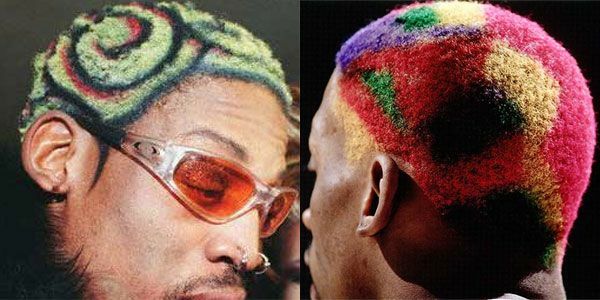 Dennis Rodman is probably more famous for his off the court antics and his colorful and wild hairstyles than he is from actually playing basketball. Throughout his career, the guy had 10+ amazing and outstanding different hairstyles. These ranged from bleaching his hair blonde, coloring in various designs in his head and even getting leopard hair… He truly did not care what others thought and you have to respect him for that, no matter how crazy most of his hairstyles were throughout his career. Most of you may be surprised by his entry into this list, but when you can barely fit a baseball hat over your gigantic afro, you belong on any list about great hair. And once the hat comes off, you can truly see just how unbelievable Crisp’s afro was. Crisp has been a serviceable player in the league for years, but this afro takes us back in time to the likes of Oscar Gamble, and for that, we thank him. 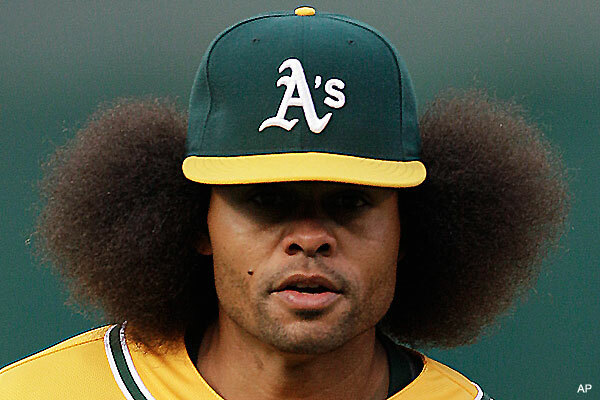 For me, this is a no-brainer as the best hair in sports history. 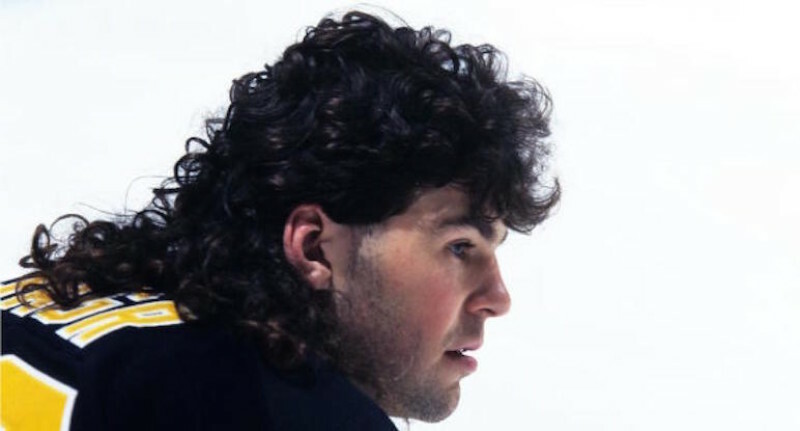 For the better part of his illustrious and surefire hall of fame career, Jagr sported the most magnificent mullet that would rival any on the planet. While it looked great always, when it was paired with his helmet, it took the look to another level with the curly locks hanging far below the bottom of his helmet. 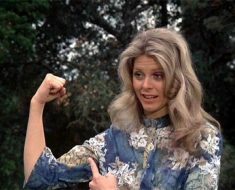 I would challenge anyone to find me a more fantastic athlete hairstyle than this one.